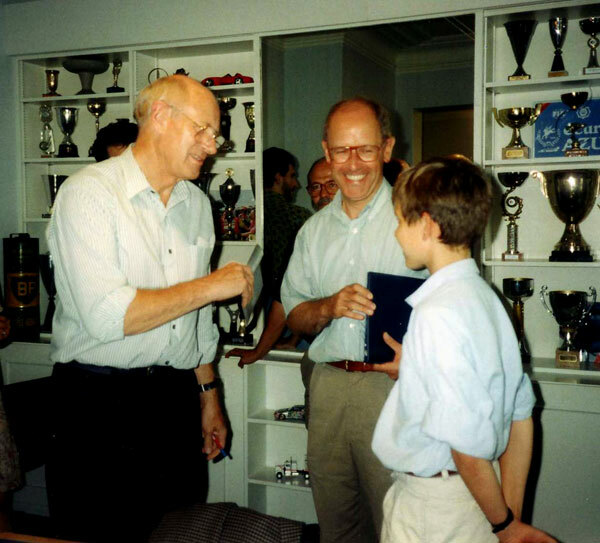 ﻿ "photographs of Carlos Ghys´ biography, part 20 = «MICHAEL TURNER»"
Graham Turner with Carlos and a young Mathias. 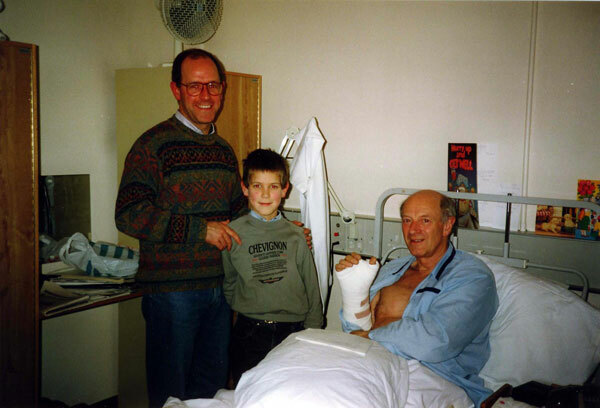 Visiting Michael Turner in hospital. Mr Turner fell from a ladder while preparing an exhibition and broke his wrist. 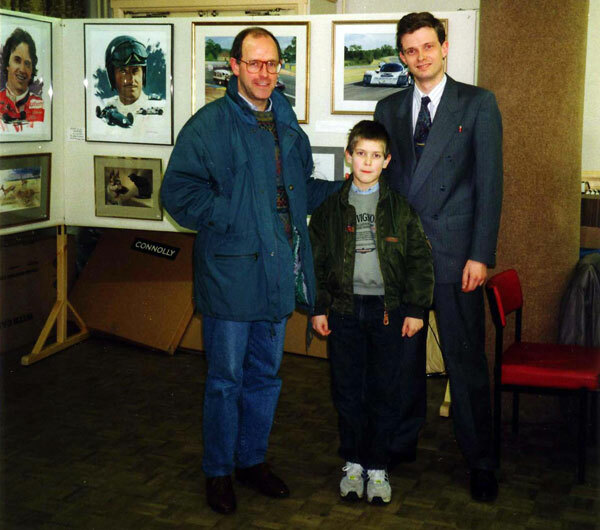 With my favorit painter on the occasion of an other exhibition of Michael and Graham Turner. To the same end, he has flown in many service aircraft, from Tiger Moth and Lancaster to Harrier and Tornado, plus aerobatic sorties with the Red Arrows, to gain first hand impressions for his aviation paintings. Michael also holds a Private Pilots Licence and flies his own Chipmunk aircraft. 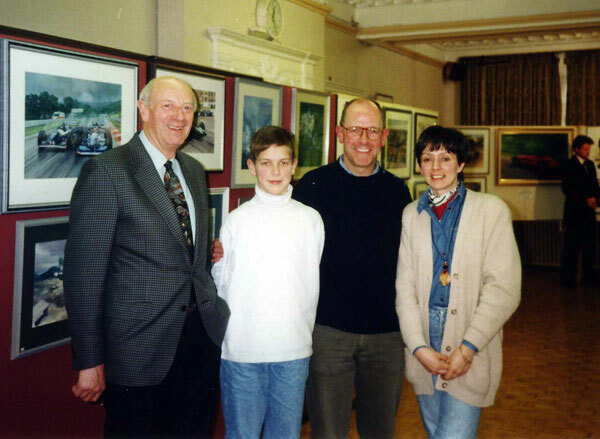 He is a founder member of The Guild of Aviation Artists, of which he has twice been Chairman and is now President, and an Honorary Fellow of the Guild of Motoring Artists. 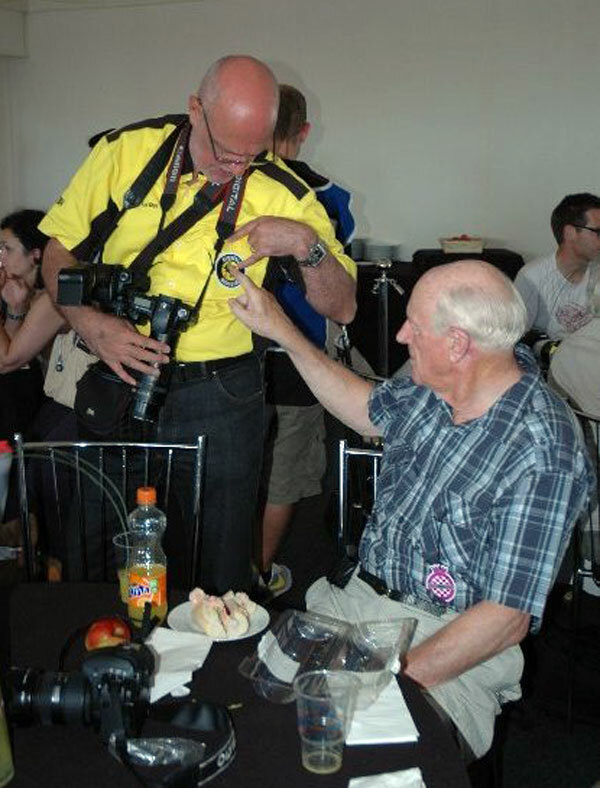 His clients include many racing drivers, teams, sponsors, pilots, motor and aircraft manufacturers, R.A.F. and Army messes, museums and private collections worldwide, and he has held one man exhibitions in London, New York, Australia and the U.S.A., plus participation in specialist shows in the U.K. and Europe. 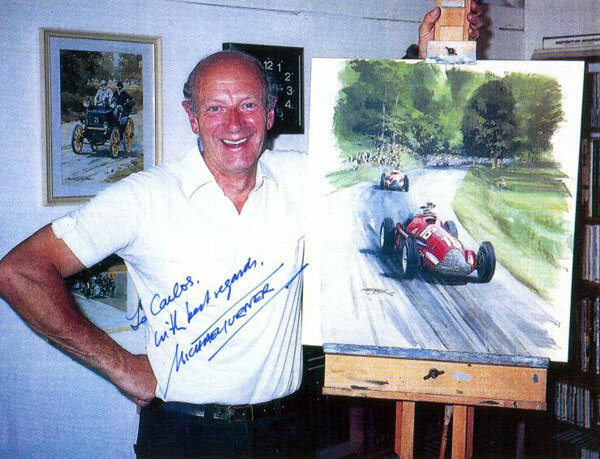 To date, Michael has had six books of his paintings published - featuring aircraft of the Royal Air Force, Formula One Motor Racing, Aircraft of the Luftwaffe, Aviation Art, Monaco Grand Prix and Motor Sport Art. Married to his wife, Helen, in 1960. They have two daughters, Alison and Suzanne, as well as their son, Graham.